In case you are new to Automation Testing, Katalon is defined in the Firefox plugin page as “a new Selenium IDE that helps you caption actions, capture web elements on web application, play automation test cases and do reporting quickly and easily”. Someone described is as “the best choice when it comes to balance between function and budget”. It is also called Katalon Recorder since you use it to capture or record actions in a web application. 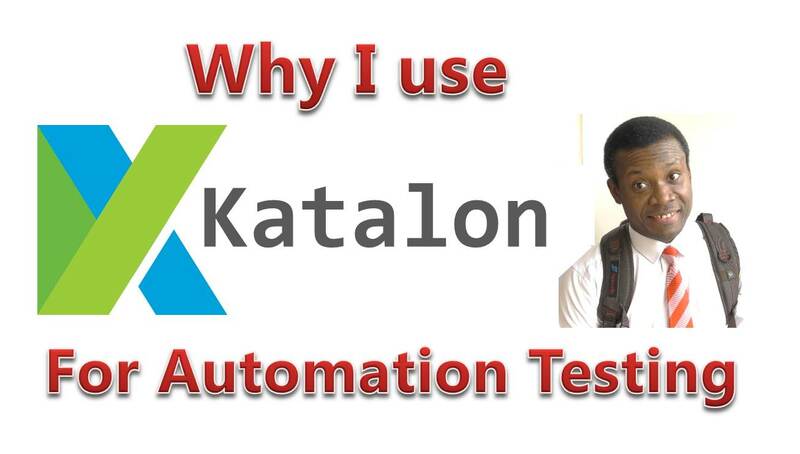 Let’t now consider 7 reasons why I use Katalon for automation testing. Both for developers and for enterprises, cost is one of the constraints considered in any information system development process. Why Katalo is free to use, they do encourage you to subscribe to their Business Support Services. For me and many other researchers, the seems to be no better option than a free-to-use, and rich in functonality system like Katalon. Setup Project: Providing template for organizing test cases, object repositori and keywords. Its really interesting that you could set up Katalon in just few minutes. There are no complicated configuration procedures. In my series of tutorials on Katalon, I explained how to get Katalon up and runing. This for me is a very important factor in choosing an automation tool(I don’t know about you). But for me as a Software Engineer and Researcher, I already have a lot going on on my system. So its is an advantage for me to have a fully functional Automation Testing tool set up on my system without impacting on resources (memory, storage etc) on my system. The Katalon website provide series of easy-to-follow tutorials to help you easily master the use of Katalon in Automation Testing. A Question and Answer section is also provided to attend to any questions you may have. Granted, I have not completed my research on performance evaluation of the various automation testing tool. But from this few point it is very clear that there are benefits of using Katalon are very much. I find this to be especially true for automation testers that doesn’t have so many year of experience. So I would recomment for beginners to start with Katalon and with them you can have more experience and be informed on making choices on an automation tool to adopt.